An opportunity to be part of a dynamic social change charity, working at scale across the UK and internationally. 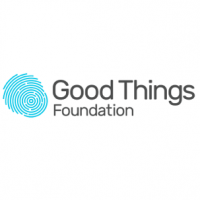 Good Things Foundation is the UK’s leading digital and social inclusion charity. Our mission is a world where everyone can benefit from digital. Through our Online Centres Network of hyperlocal partners, we are supporting people and communities to overcome some of the most pressing social challenges they are facing through digital. Since 2010 we’ve helped over 2.4 million people to improve their lives using digital, driving positive outcomes from employment through to health and wellbeing. This is an exciting new role in our award winning Learning Team, leading the strategic and tactical development of a portfolio of curricula – ensuring a person-centred, outcome-focused approach that promotes very high standards of learning, and produces outstanding progress and achievement for learners. The successful post holder will ideally have experience of working in a formal or informal adult learning setting, have achieved a high standard of curriculum design and development, evidenced through the achievement of outstanding outcomes for learners. Leading and managing the development of user-focused curricula in the context of our overall offer across Good Things Foundations Digital and Social Inclusions themes. Designing a curriculum to support the workforce, developing the skills of people across the Digital and Social Inclusion themes, including the Online Centres network (tutors and volunteers) and professionals from different sectors e.g. health and social care. Identifying strategic and tactical priorities for the development of learning content for both the Online Centres network and key learning products. To support this, you’ll work with the Head of Learning and the Learning and Development Manager to build relationships and gather requirements across the organisation and with stakeholders, partners and customers. The analysis and improvement of learning products and services and how they are promoted and offered to Online Centres and learners. Actively promoting Good Things Foundation’s expertise in learning, drawing on best practice from the latest developments in learning and development, and pushing boundaries for new learning techniques, particularly in digital learning. You will also undertake other duties for the Learning Team which will include updating, writing and reviewing web content, monitoring and moderating user-generated content and delivering face to face and webinar content you have designed. Working in curriculum design and implementation. Producing inspirational learning content, particularly e-learning. Working closely with internal and external customers and stakeholders to build trust across teams and organisations. Desirable – track record in delivering projects . Desirable – experience of delivering or developing the digital skills of adults. Desirable – experience of developing content for socially excluded adults. Ability to take a high level strategic and detailed view. A keen eye for detail. Excellent time management and ability to prioritise. Good technology skills in basic/everyday IT. Knowledge of at least one of the strategic areas in which Good Things Foundation operates (Digital and Social Inclusion). Knowledge of the pedagogy underpinning adult learning content. Educated to degree level or equivalent. A minimum of five GCSEs A* – C or equivalent, including Maths & English. Teacher or Trainer qualification e.g. PTLLS, DTLLS, Certificate in Training Practice (Desirable). Good Things Foundation is a social change organisation with a mission to ensure that everyone benefits from digital. We live the change we are seeking to achieve and encourage applications from diverse backgrounds. We operate a policy of providing equal opportunities in all aspects of work including recruitment, training, and promotion, whatever the colour, race, religion, belief, ethnic or national origin, gender, sexual orientation, marital status, age or disability of an employee, having regard to the individual’s aptitudes and abilities and requirements for the job. Good Things Foundation is opposed to all forms of unlawful and unfair discrimination. This employer doesn't currently have any other job posts available. To apply for this job, simply fill out the form below. It's quick and easy! Once completed, an account will automatically be created for you and you can apply for other jobs even quicker. You may describe yourself and your suitability for this job here. If you have filled out an application form (.doc, .pdf etc) for this job then you can upload it here. Max file size: 512kb (0.5MB). I certify to the best of my knowledge and belief the information given in this application is true and accurate. I understand that if the information is false or misleading it will disqualify me from my appointment or after appointment could lead to a disciplinary action or dismissal. Good Things Foundation is a social change charity that supports socially excluded people to improve their lives through digital.